Bedros Keuilian is the fitness industry’s most trusted consultant. His fitness business products and coaching help personal trainers, gym owners, and boot camp owners around the world make more money, attract more clients, and make a bigger impact. From the beginning, Bedros has been in the trenches and learning from experience. He started his fitness career as just another personal trainer in a corporate box gym. He loved his work and delivered great results, but he made so little money that he needed two extra jobs to stay afloat. If you’re a coach or personal trainer and you feel like you aren’t earning the money you deserve, keep reading. Bedros’s journey to success can be yours as well. Bedros’s first major breakthrough came when his client, Jim Franco, pulled him aside and told him the brutally honest truth: he SUCKED at selling, and he needed to master marketing and selling if he ever wanted to escape the trap of trading time for dollars. Bedros took Jim’s advice to heart and started studying. Soon, he got so good at marketing and selling that he built and sold a chain of five highly profitable personal training studios. He then went on to create Fit Body Boot Camp, the world’s fastest growing fitness boot camp franchise and two-time Inc. 5000 listed business. Today, Bedros is known as the “hidden genius” behind famous and successful fitness professionals around the world, including celebrity trainers, UFC fighters, and top-earning gym and boot camp owners. You’ve probably watched the people he mentors appear on ABC, NBC, CBS, and in The New York Times. Between Fit Body Boot Camp and his high-end business coaching, Bedros commands an eight-figure business empire...and now, he wants to help YOU build your empire. So what do you need now to get to the next level? Do you need more clients? Do you need more revenue? Do you need systems that will run your business while you focus on getting your clients results? Do you need the tools and strategies to open up multiple locations so you can multiply your income and impact? And dominate your competition by delivering higher service and better results. In fact, many of Bedros’s coaching clients have gone from being broke to having their own six and seven figure fitness empires. If you’re struggling in your fitness business right now, or it’s just not growing as fast as you know it could, you do NOT need another certification. Instead, you need systems to automate your marketing, operations systems that give your clients a higher level of service, and coaching that will put you in the right mindset for success. Bedros can help you. He’s helped thousands of personal trainers, gym owners, boot camp owners, and fitness experts make more money and build profitable, reliable businesses. And it all started with Bedros as a 6 year old foreigner who couldn’t speak English, living with a family so poor they literally had to eat out of dumpsters. See, Bedros was born in Armenia, back when it was still under the control of the Soviet Union. His father saved up enough money to smuggle them out of the country and bring them to America as political refugees. They had to spend every cent they had to escape, so they were completely broke once they landed. Bedros is a true “rags to riches” story. No matter how much adversity his family faced, his father always taught him to work hard, get resourceful, and embrace the unique opportunities of America. Bedros calls this his “immigrant edge,” and to help you level up your own fitness business, he’s giving you the chance to install the immigrant edge in your own life. Today, Bedros tells his personal story as a reminder that you can achieve great things and earn the money and lifestyle you deserve—no matter where you come from or what challenges you’ve faced in the past. But before you go any further…check out the video below where Bedros shares the #1 thing you need to know to create a 6 figure fitness business. Discover exactly how to double and triple your fitness profits within 30 short days, and learn how to run your fitness business like a multimillion dollar company within 12 months! Learn the secrets of attracting, selling, and retaining clients from the man who consistently sold over 20,000 personal training sessions every year. Bedros Keuilian reveals his most guarded business building secrets that have helped the nation’s largest personal training companies generate over $40 Million Dollars a year in revenue! If you’ve ever wanted to open and operate your own highly successful personal training studio, then this is the “paint by numbers” formula you’ll want to follow. 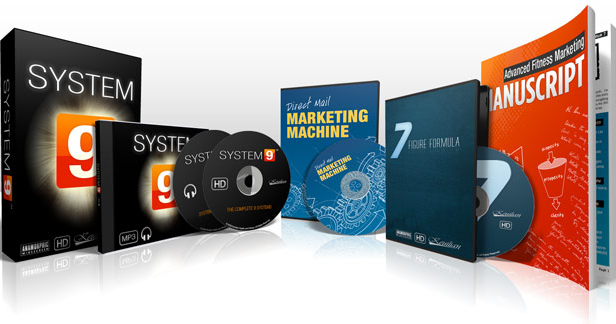 This set of DVDs and manuals cover the entire system for finding a location, negotiating rent, hiring staff, pricing your program, and attracting clients. You’ll also get done-for-you forms and agreements, client-getting marketing material, and a proven system to close sales. Even if you already have a personal training studio and you just want a way to get more clients into your studio (plus proven systems to increase your income)...Fitness Studio Formula is for you. Most of the trainers Bedros talks to are doing all the wrong things and ultimately wasting a bunch of money on dead end marketing. Life is so much better when you have a predictable marketing system that gets you all the clients you need and want...System 9 brings you nine of Bedros’s most effective, proven, and low-cost fitness marketing tactics that are guaranteed to bring new clients to your door. This is the fastest growing, most popular fitness franchise in the world, and you’re invited to join. The Fit Body Boot Camp business model is the fastest and easiest way for you to open a six-figure generating fitness business. The done-for-you marketing materials, low starting cost, internationally trusted brand, and fanatical business support and coaching make your success a guarantee. Best of all, the team at headquarters takes care of all the marketing so that you can focus on what you love most: training clients and getting them results. This technology will automate your entire client attraction system. Want to get more publicity, stimulate referrals, generate additional revenue, and position yourself as the community fitness expert? Then this is your program! 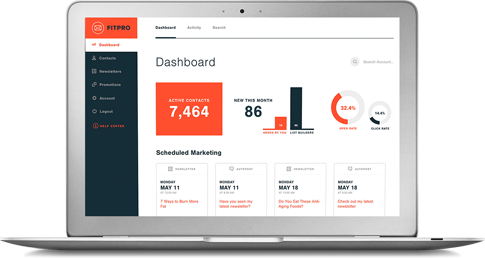 FitPro Newsletter will deliver up to five content rich personalized newsletters to your clients and prospects every month on your behalf. Best of all, you do no work! The entire thing is on autopilot. Watch the four minute video on the site and see how this technology will change the way you attract and retain clients! How to close 9 out of 10 clients on big ticket, long-term training programs. Close Clients is a bona-fide, proven sales system for fitness professionals at all levels. It’s not a marketing system that requires additional expenses. 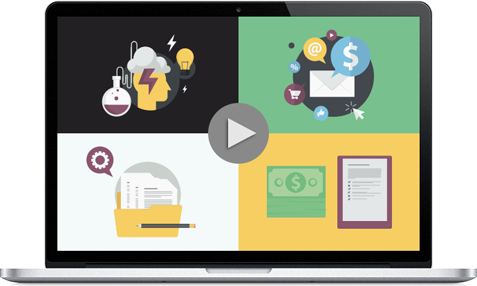 This system shows you exactly how to take your existing prospects and convert them into loyal, paying clients. It completely takes the guesswork out of selling! You’re about to discover how to take your fitness knowledge and turn it into an online info product that makes you money even while you sleep...In this video series, you’re going to learn everything you need to know to go from idea to actually selling your fitness info product online. This program is designed to do one thing: to put you on pace for $8,333/month, which is exactly what you need to make each month to hit the hundred thousand dollar a year mark. Systems, operations, and procedures that all serve as the FOUNDATION for building a six-figure-earning business. There’s no fluff and no hype in this program. Imagine helping people all around the world and making a steady stream of extra cash...even while you sleep or spend time with family. If you’re an expert, have specialized knowledge, or offer a unique service and want to create an online program so that you can reach more clients as you generate passive income, then you might be a good fit to work with us.